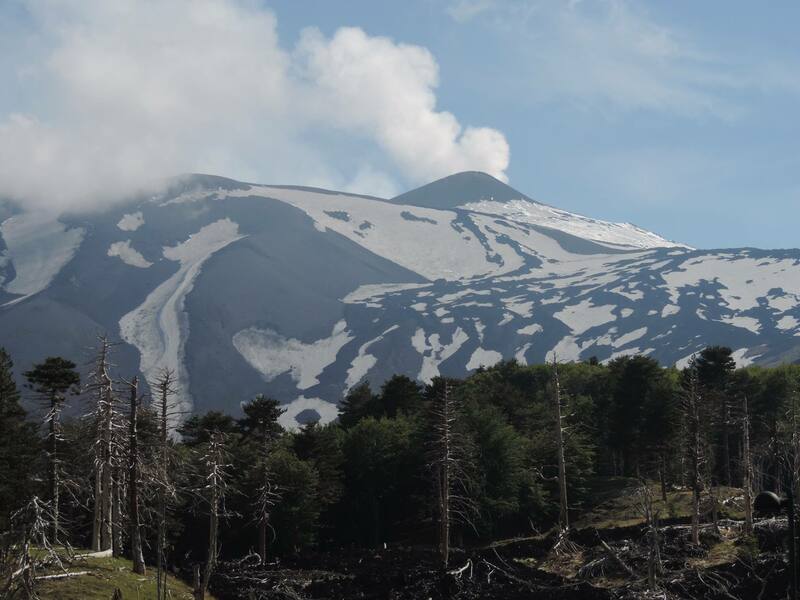 Will Etna remain on the new Decade Volcano Program? Or will Boris Behncke have to defend the existance? Many questions that slowly will get an answer. Photograph by Dr. Boris Behncke. First of all, let me make one thing abundantly clear. This is a list put forth by us as suggestion for a new Decade Volcano program. But, in the end it is the International Association of Volcanology and Chemistry of the Earth’s Interior (IAVCEI) that decides if there will be a new Decade Volcano Program, and if so which volcanoes will be included. We do though think it is time for a new Decade Volcano Program to further the science of Volcanology and Geophysics. Also, there is a clear need for new measures and methods of mitigation. In the end the Decade Volcano Program has been a success that has furthered the science of volcanology greatly. It is because it is a success we want think it should be redone, not because it was a failure. Due to the Decade Volcano Program we now know a lot more about how to mitigate volcanoes, and we also know much more about how volcanoes operate. Due to all of the studies done we now know so much that we can point the finger against other and more dangerous volcanoes. So, it is time to retire Avachinsky, Colima, Etna, Galeras, Koryaksky, Mauna Loa, Merapi, Nyiragongo, Rainier, Sakurajima, Santa Maria, Santorini, Taal, Teide, Ulawun, Unzen and Vesuvius. I will though say that at least one of these volcanoes will remain on the proposed new list, but for different reasons than it was there in the first place. In the beginning the Decade Volcano Program was meant to last for a decade, and contain only ten volcanoes. First of all, a decade does contain 10 years, not 25 years. Second of all, there are 10 volcanoes in a decade of volcanoes, not sixteen. But, happy scientists tend to forget small details like that when doing what they do best, science in their field. Trust me; I have done things like that myself. Will the Wrath of Vesuvius prevail? In the original Decade Volcano Program it was stated that a participating volcano should have several means of killing people. This is a very good point that we agree on wholeheartedly, so that criteria stays unchanged. Another original criterion was that the volcano should be able to kill tens to hundreds of thousands during a regular eruption. The problem is just that there are hundreds of volcanoes that meet that criterion, and new research have also widened the scope of what kinds of volcanism are threatening to large scale human density centers. This led us to coin the term of MDE, Million Death Expectancy. It is a bone chilling term if any, but as we continued to ponder the upcoming series it felt correct to use this as a plimsol-mark for the new Decade Volcano Program, the reason for this being that there are that many volcanoes capable of reaching a potential of 1 MDE during a regular eruption. And please remember that we are not talking about a super-eruption here. 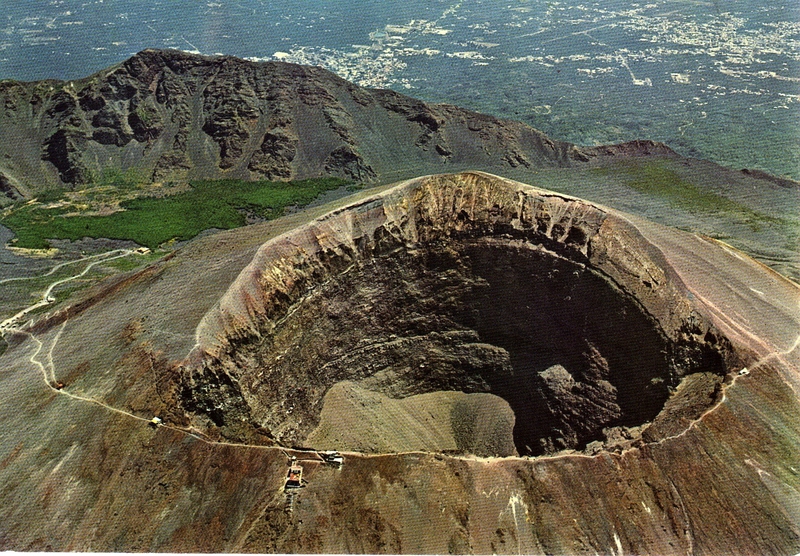 Instead we are talking about population centers that are built to close to highly dangerous volcanoes, in many cases because nobody understood that they had built a large city within a large volcano. Going with volcanoes that are easy to access and that have readily available funding is first of all second rate science, it is also politically incorrect if anything. Basically it just says that lives in fairly low populated areas in the predominantly white western world are worth more than lives in developing countries. Instead we believe that the criterions of multiple modes of killing and 1 MDE should rule supreme. We also believe that there is an added bonus of studying volcanoes that are understudied today. We firmly believe that a good Decade Volcano Program should, if possible, support countries that need added scientific help and resources. So, when we picked our list we first looked at the two base criterions, then as we weighed our slightly longer list of 1 MDE capable volcanoes, we biased in the possibility to support science in developing countries. 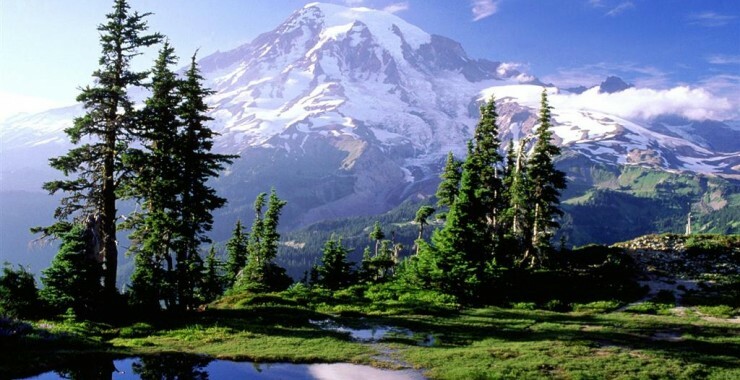 Will picturesque Mount Rainier stand the exactitude of the new Decade Volcano Program? Photograph borrowed from Cabin Rentals Ashford. We do know that we are sticking our necks out like giraffes on this one. We hope that volcanologists will see this is an opportunity to defend their “Decade Volcanoes”, or even put forth their own suggestions. We will therefore open up Volcanocafé for any volcanologist or representative of the IAVCEI to publish a defense or suggestion of their own, or perhaps even defend the entirety of the current Decade Volcano Program. In the end, this is what science is all about. The free discussion of science and methodology, we have always invited and supported that and we will forever continue to do so. May science rule supreme!